Compelled by Jesus’ Great Commission, we are multiplying transformed disciples through MICRO GROUPS in every country in the world by 2026. GDI trains, coaches, and inspires pastors and Christian leaders to establish indigenous, multiplying, disciplemaking movements, both nationally and internationally. Disciplemaking is the church’s mission, not just one bullet point of the many things a church does. Micro Groups: Disciples grow best and are empowered to disciple others in gender-specific groups of triads (3) or quads (4). 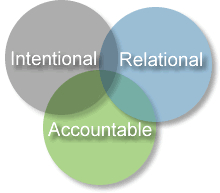 Intentional: Discipleship requires purposeful, covenantal, relational investment. Transparent Relationships: God’s Word shapes our hearts in an honest, open, and mutually accountable environment. Biblically-Based Curriculum: Discipleship Essentials covers the foundations for a life in Christ and is the empowerment tool we use to disciple others. Indigenous: Discipleship movements should become self-governing, self-supporting, and self-propagating. Multiplying: Disciples are made to reproduce. WHERE WE HAVE GONE. WHERE WE ARE GOING.